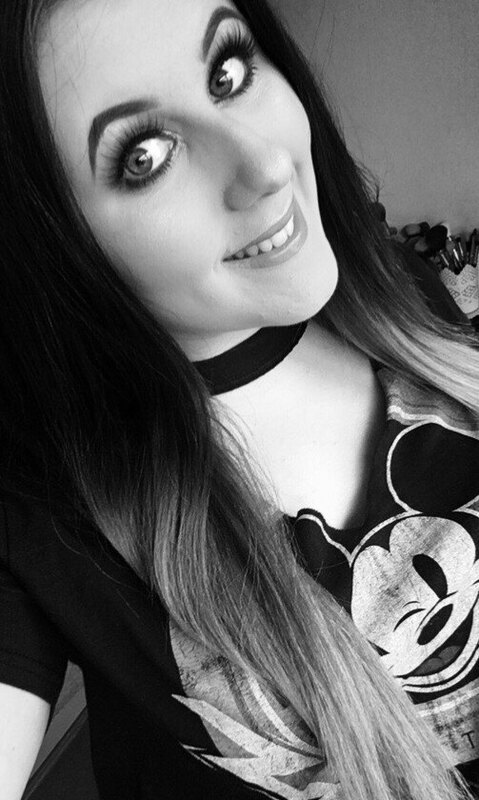 The Subculture palette got mixed reviews some saying they shadows don't blend easy but I don't find it much of an issue. The reason they take longer to blend is because of how pigmented the shades are and they just take a little more work, that's all. At £43 it is a little pricey but that is what a high end brand is all about, the price offers incredible quality from start to finish. 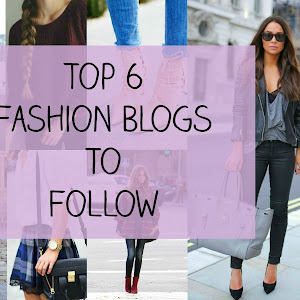 Dupes are something alot of people look for as some people don't always have the budget for a high end brand. 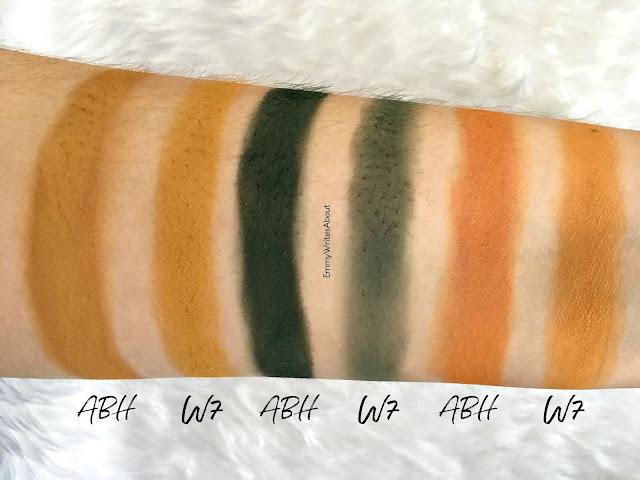 W7 have released the On The Rocks Palette which looks pretty much the same as the Subculture palette. When you first look at the palettes you can instantly tell the W7 one is smaller and the packaging is cheap. The Subculture palette comes in a deep green soft velvet case which feels quite heavy. The W7 one comes in a very light cardboard packaging. 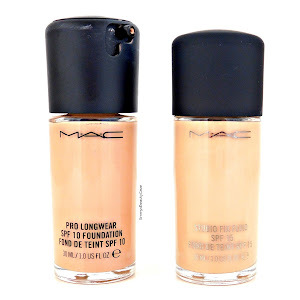 At first glance the shades look very similar, almost identical but are they really the same? First up I want to show you each of the shades in the pan so you can see how they look. 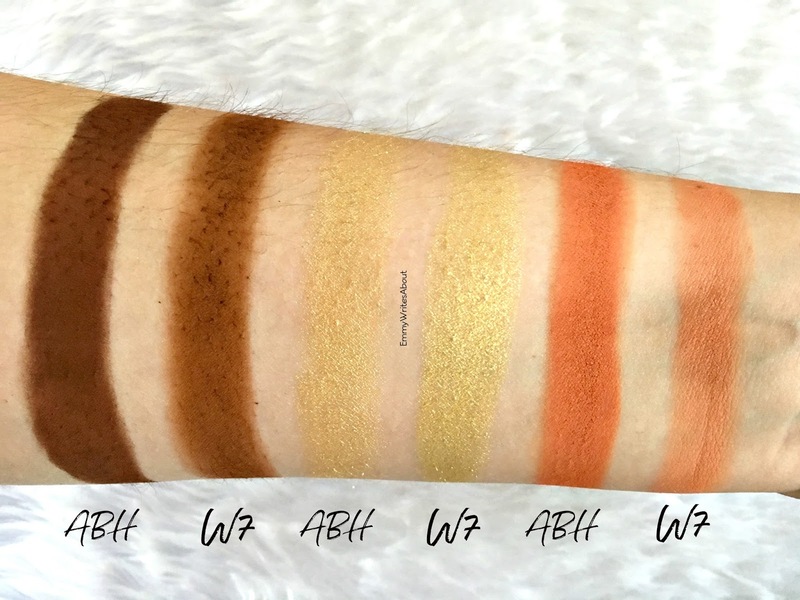 The Anastasia Beverly Hills Palette is on the left and the W7 On The Rocks Palette is on the right. As I said at first look the shades look pretty much identical in the pan. A shade in the pan can be quite deceiving as once you swatch or use them they can often look a little different. 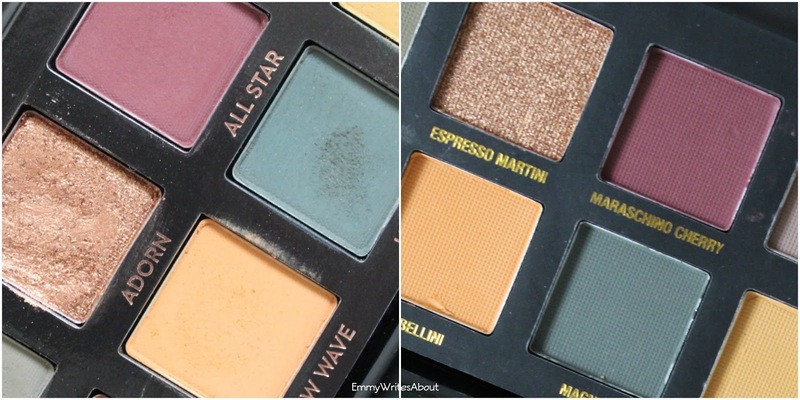 I have to admit when I opened the palettes side by side I was shocked at how similar they looked. As you can see the Anastasia ones in this row are more pigmented. I found one swipe was enough whereas the W7 ones I had to build up. The end two shades both don't look very pigmented but in a photo below I have taken a photo at an angle where you can see the true colour. 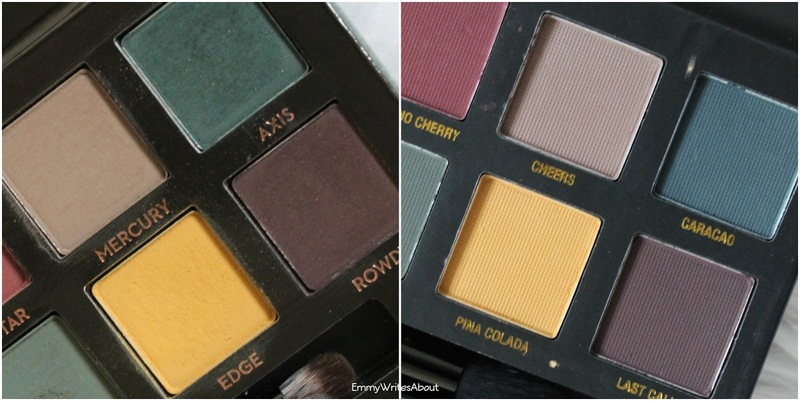 Even though the W7 shades aren't as pigmented on this row the actual colours look the same. Moving onto the second row. 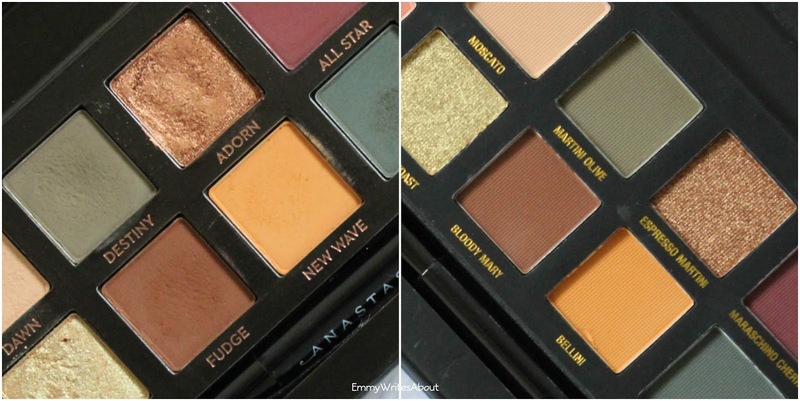 Again the ABH ones are more pigmented but the W7 ones are actually really good. The end shade is slightly lighter in the W7 palette but it still looks like a good shade. The dark browns have different undertones as the ABH one is more of a pure chocolate whereas the W7 one has a warmer undertone to it. This has the above two shades from each palettes just at different angles. The ones on the left have a pink/silver tint to them when the light hits them. The ones on the right, the ABH shade is my favourite as it has flecks of gold but with a hint of green. This row I have mixed thoughts. They grey shades you can instantly see the colours are completely different. 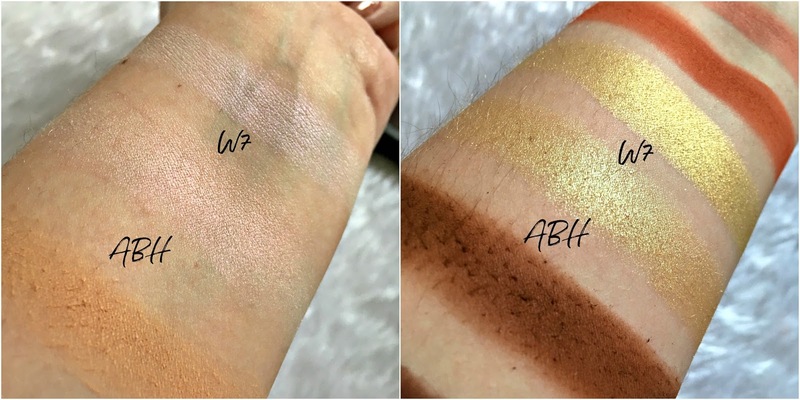 The ABH one is intensely pigmented whereas the W7 one is subtle and alot paler in shade. The purples are similar shades but the W7 one is very patchy. Now the gold shade in the W7 palette shocked me the most and is my favourite shade from the W7 palette. 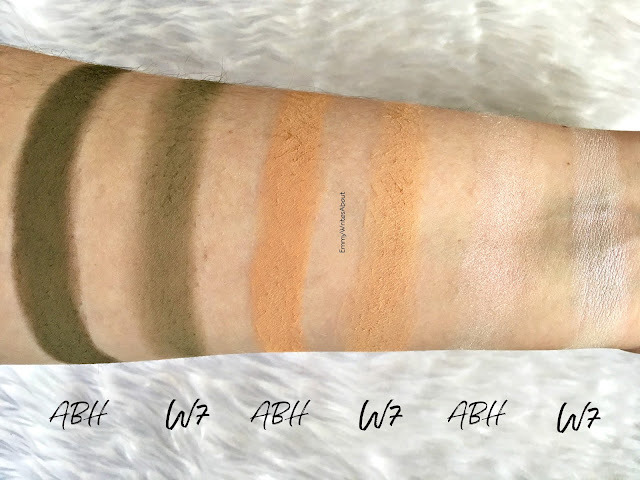 The two shades are identical and both just as pigmented. The yellow shades are similar but the W7 one is more yellow whereas the ABH one is more of a mustard colour. Pigmentation is still good in both of them. The dark green, well you can clearly see the difference. 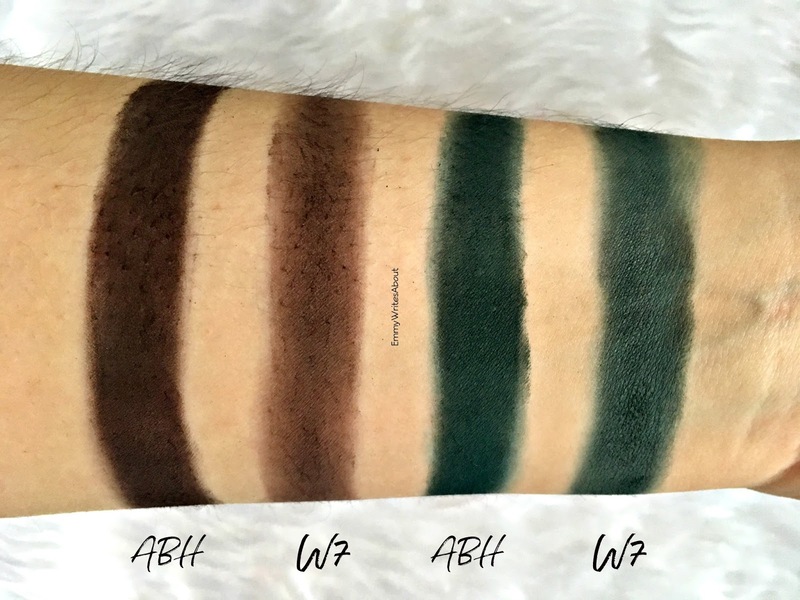 The W7 shade is barely pigmented and that was even after building it up! The last two on this row are completely different. The ABH one has more of an orange tint where the W7 one is just a darker yellow. Last row! Probably the most disappointing in the W7 palette. The darker the shades get in the W7 palette the less pigmented they become but the more patchy they become. You can see the difference, even though the shades are similar the pigmentation just isn't there. 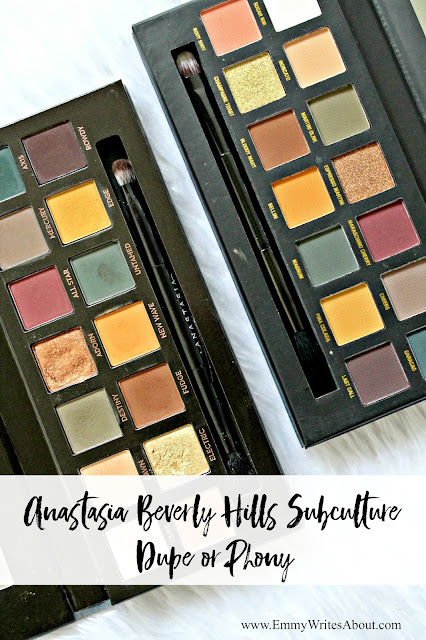 For me personally I am loving the Anastasia Beverly Hills Subculture Palette (£43.00) and find the shades are extremely pigmented which just means they take a little more blending. 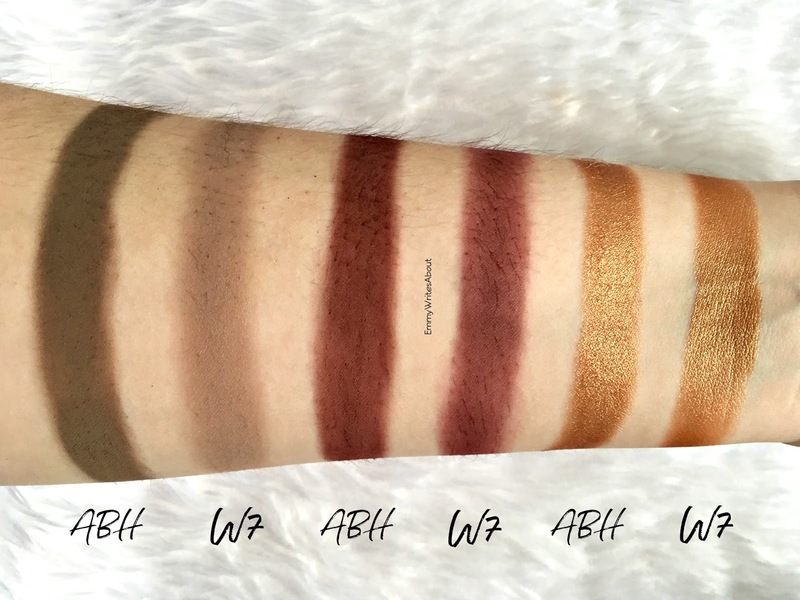 The W7 On The Rocks Palette (£12.95) has shocked me with how similar alot of the shades look but the quality isn't there. If you are on a budget and want an alternative to the ABH Subculture Palette then yes this could be for you if you don't mind having to take the time to build some of the shades up. I have noticed to make the W7 palette work you do need to use an eye shadow primer to ensure the shadows last well. I don't find they last as well as the ABH ones as the W7 ones do fade slightly throughout the door. Overall I would not call this a dupe but an alternative. A dupe should have the same colours, same quality and same overall wow factor.